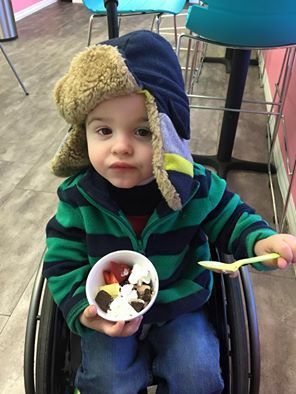 Kellan is an amazing little three-year-old boy who was born with a large tumor in his spine and abdomen, and began the first of four rounds of chemotherapy at age three days. 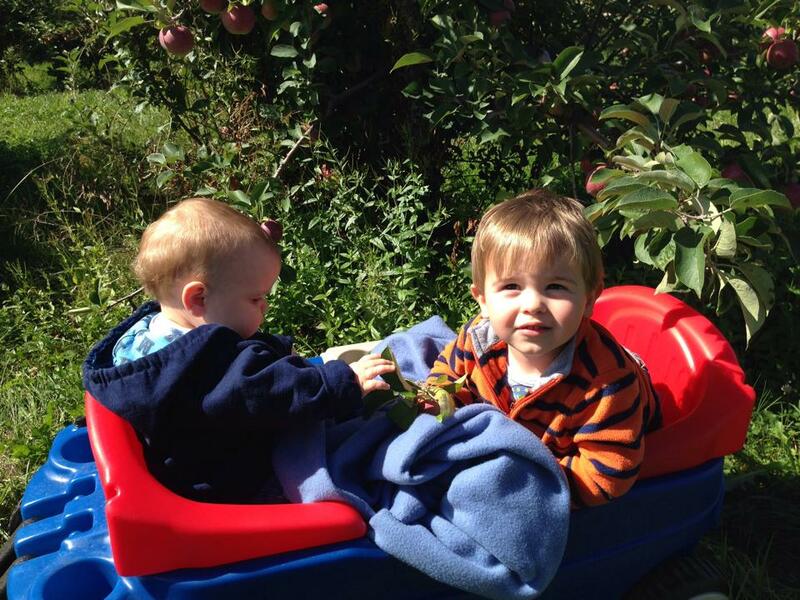 At three months, Kellan underwent a nine-hour surgery to remove the tumor, which left him paralyzed. One of eight children, Kellan is bright and articulate and loves basketball. 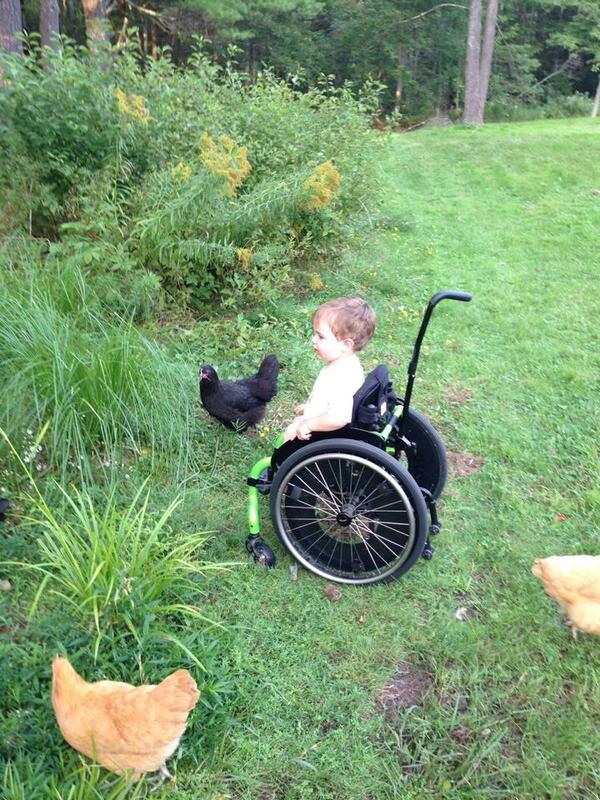 He lives on a farm with hills and rough terrain, and so is unable to get around unless a family member carries him. 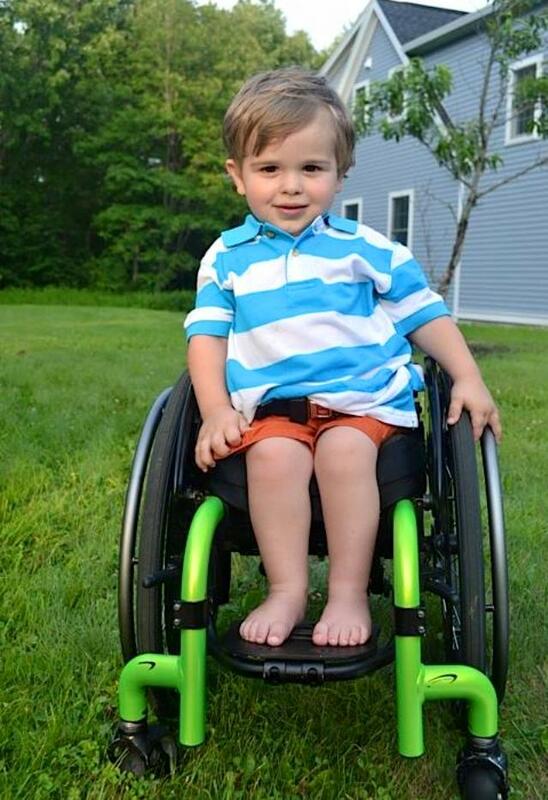 This fund-raiser seeks to provide Kellan with his own TiLite Twist wheelchair with the Wijit lever-drive and braking system installed (the chair shown in the photos is a loaner). With Wijits and a new chair Kellan will be able to go places that would be impossible for him in a standard wheelchair. 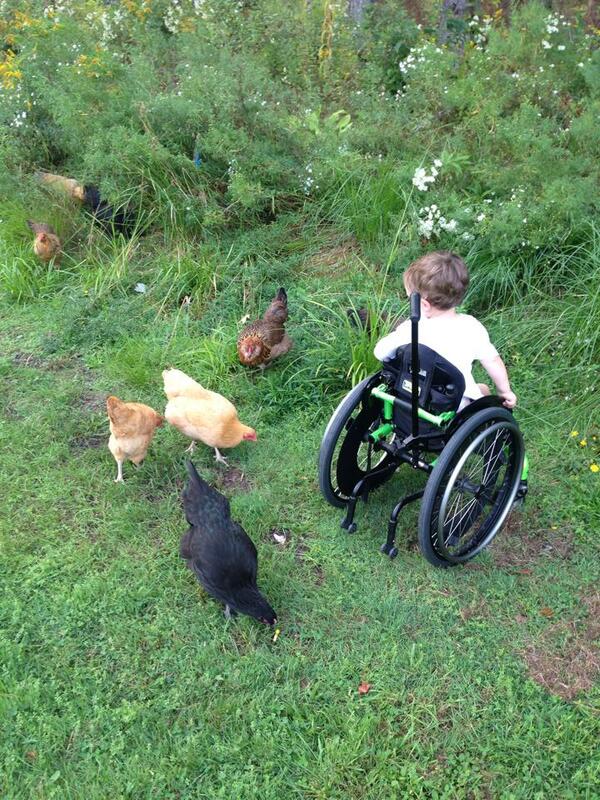 Here is a link to a video of Claire, who received her wheelchair with Wijits at age three, as she flies around her yard: https://www.youtube.com/watch?v=Pfb9eYk4i4g. A new TiLite wheelchair with Wijits will help make Kellan more independent and build his strength and cardiovascular conditioning. TiLite and Innovations Health Devices (manufacturer of the Wijit) have both offered significant discounts off of the MSRP in support of this campaign.